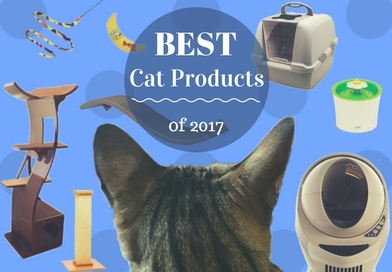 If you’re looking for a modern ceramic cat fountain that is virtually silent, the PetSafe Drinkwell Seascape Pet Fountain should be your number one choice. 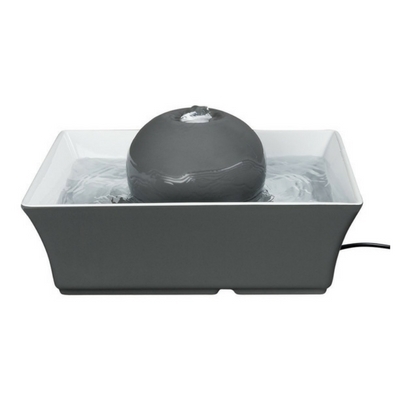 The PetSafe Drinkwell Seascape Pet Fountain is our top-rated ceramic fountain. 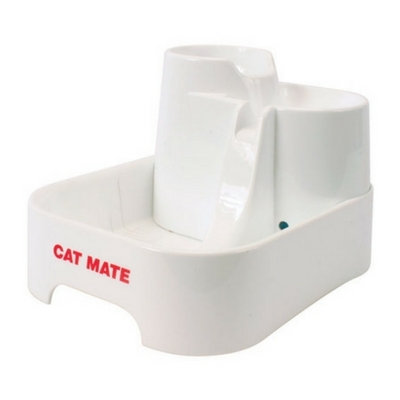 The Cat Mate Pet Fountain is one of our top-rated fountains. 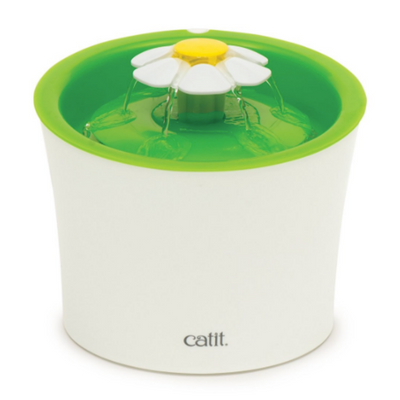 It’s one of the quietest pet fountains on the market, it’s easy to clean, and its multiple drinking levels are popular with cats. 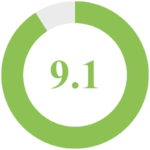 We just wish it held more water. 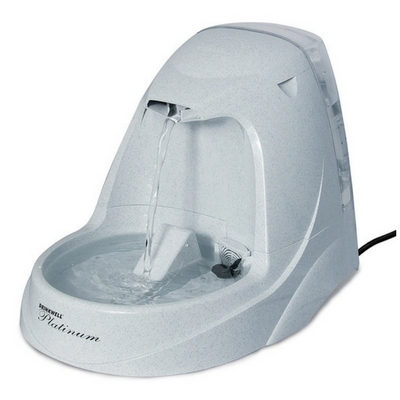 The PetSafe Drinkwell Platinum Pet Fountain is one of the top-selling water fountains on the market. 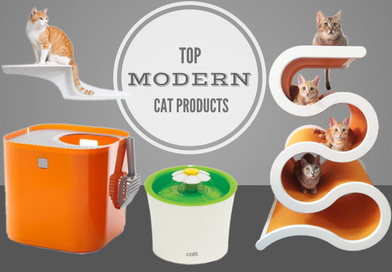 It scores high in functionality, capacity, quietness, and our cats love it. 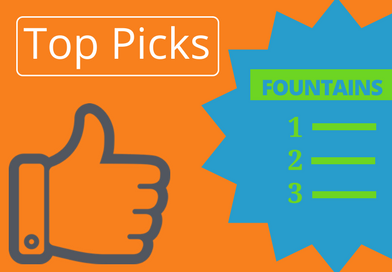 If cleaning this fountain wasn’t such a headache, it would certainly be our number one choice. 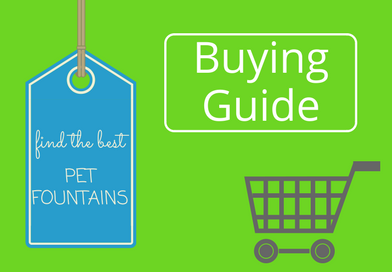 The PetSafe Drinkwell 360 Pet Fountain is a great pick for multi-pet households. 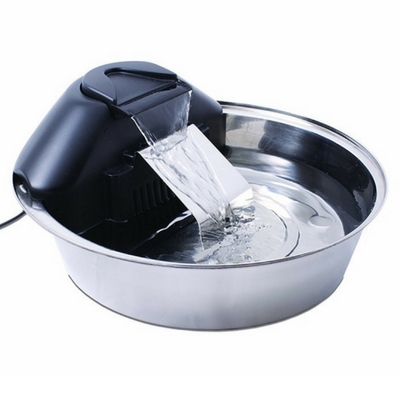 It’s slightly easier to clean than the PetSafe Drinkwell Platinum Pet Fountain, and comes in plastic or stainless steel. 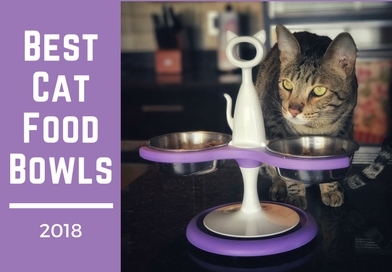 The PetSafe Drinkwell Multi-Tier Pet Fountain is an affordably-priced plastic fountain that's big enough for multi-cat homes or families with small dogs. 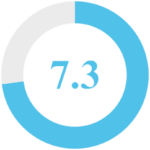 It is easier to clean than some fountains, but the small crevices are still a bit of a nuisance to clean without a small brush. 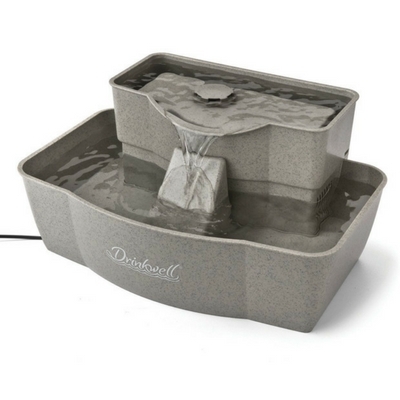 The PetSafe Drinkwell Avalon Pet Fountain uses the same basic design as the Pagoda Fountain with dual free-falling water streams, but features a more traditional rounded fountain shape. 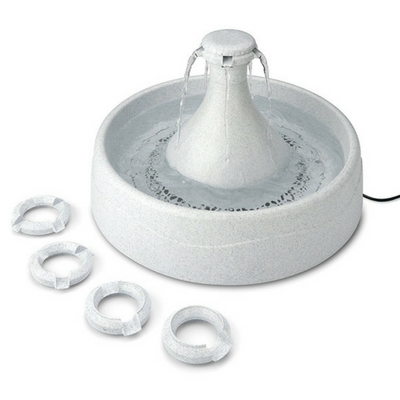 The pet fountain experts at PetSafe have come up with a beautifully designed fountain that both humans and cats will love, as long as you don’t mind the sound of trickling water. 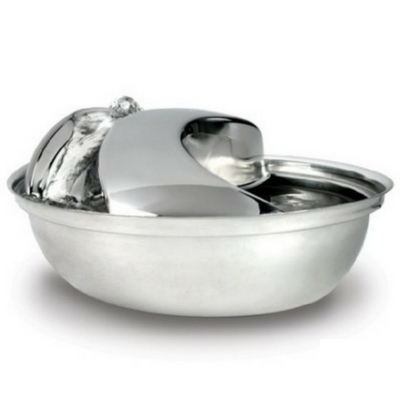 The PetSafe Drinkwell Zen Pet Fountain is a hygienic stainless steel fountain that is great for multi-cat families and families with dogs. 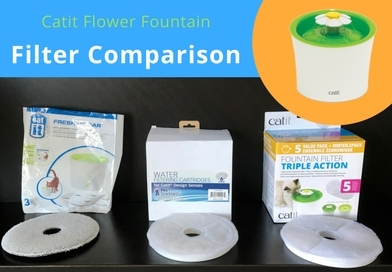 This large capacity fountain is relatively easy to clean but requires more frequent cleanings because of the less than ideal filter design. 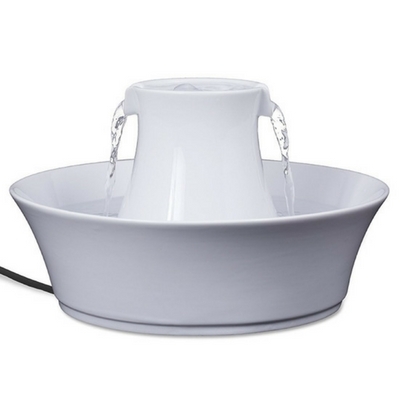 The Pioneer Pet Raindrop Stainless Steel Pet Fountain is a stylish and sanitary alternative to standard plastic fountains. 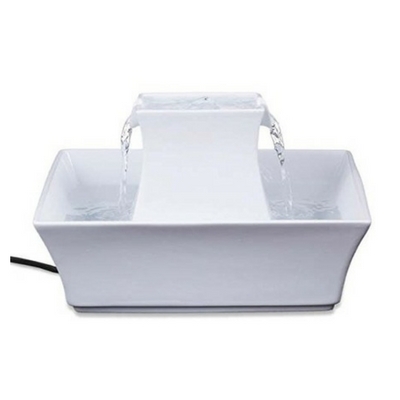 Cleaning this fountain is a breeze and its low profile design makes it fit in just about anywhere. 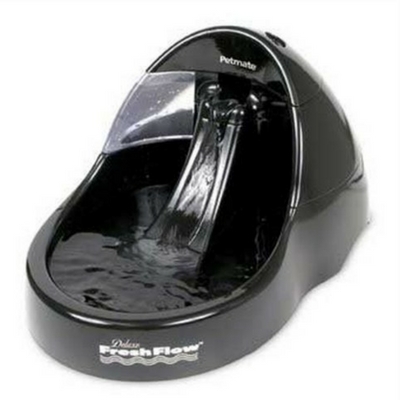 The Petmate Deluxe Fresh Flow is a pretty basic pet fountain at a very affordable price. 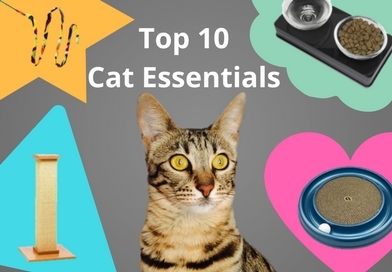 It might be a bit noisier than average, but your cats aren’t likely to mind. The Petmate Deluxe Fresh Flow comes in 3 sizes and 2 color options.